Our Luxury Bath Bomb Gift Set for Her includes 12 of our best-selling bath bombs. 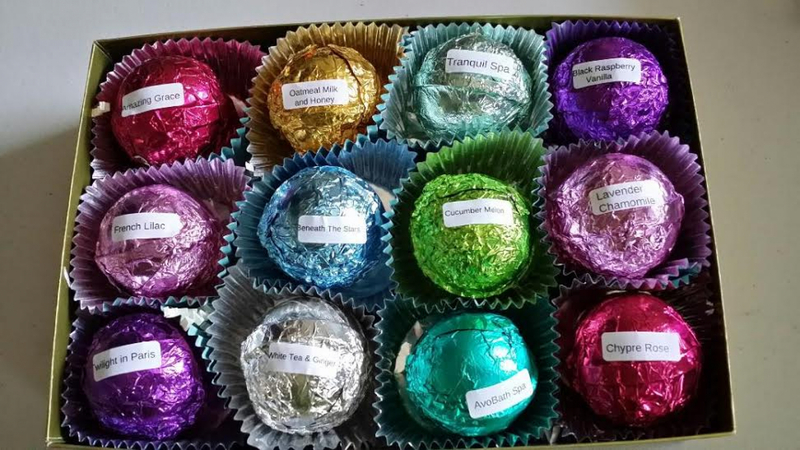 They are each individually wrapped in colorful foils, are half sphere shaped and 1.6 oz each. Makes an exceptionally nice gift for someone you want to pamper....teachers, mom, dad, friend, sister, brother. They are gift wrapped in a sturdy box with clear top. Our handmade bath bombs are made with luxury moisturizing ingredients including Shea, Mango and Cocoa Butter plus our blend of oils with each providing a unique benefit to your skin from reducing fine lines and wrinkles to helping with dry skin. They are shaped like very large gum drops (half-sphere shaped) and 1.6 oz each. We use Micas and natural ingredients to color our bath bombs and there is no staining of your tub. No particles floating about in the tub to interfere with jacuzzi jets. Safe for children and babies yet luxurious enough for an adult to use. You will notice the difference when using 100% natural handmade products on your skin. There are no abrasive chemicals and never tested on animals. 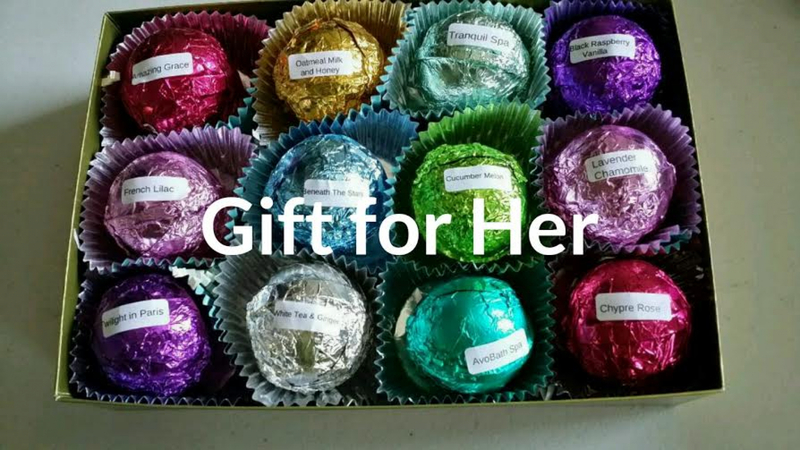 Listing is for Spa Girl Luxury Gift set with 12 (twelve) 1.6 oz bath bombs. Thank you for shopping with Spa Girl.